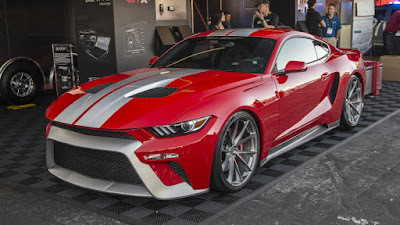 Well, it's unfortunate fate of the California-based auto-tuner Zero to 60 Design who have changed the look of the Mustang-based GTT (stands for Grand Turismo Tribute) which its design inspired by the GT supercar to exhibited at the SEMA Show 2016. Apparently the modifications done to the car is not favored by Ford. And now the American automotive manufacturer reportedly is considering taking legal action against its creator. As quoted from Carscoops, a spokesman for Ford said, "We're aware of the Zero to 60 Designs Mustang 'GTT.' Mustang and GT feature important design elements that uniquely and individually identify both as Ford Performance vehicles. Ford's legal counsel is investigating how best to address the matter." It seems Ford did not appreciate the facts of the California-based auto-tuner to modify this car, and if seen carefully on the modification results, these Mustang-based GTT looks very good and very much resembles the GT. This can be seen in some parts of which can be said to be very similar, ie on the sides, where there are the skirts and air intakes in front of rear wheels. In addition, other features that are inspired by the GT include the four rounded rear lights, rear spoiler, huge front grill and silver lip. The modification results of Zero to 60 Design not only improve the look of the car's exterior, but also to upgrade its performance. 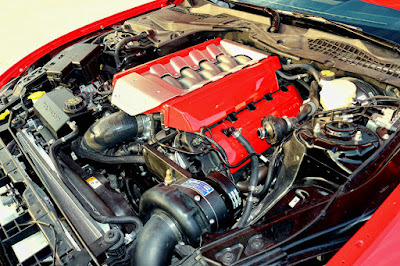 Now, the car is using the ProCharger supercharger to boost performance of the 5.0 liter Coyote V8 engine that is capable of spewing power up to 800 horsepower. To support the engine's performance, the tuner also pinned four HRE alloys wheels with a size of 22-inches and wrapped by the Pirelli P-Zero tires. Then there is the Brembo braking system and the suspension of Eibach Pro-Street-S as well.